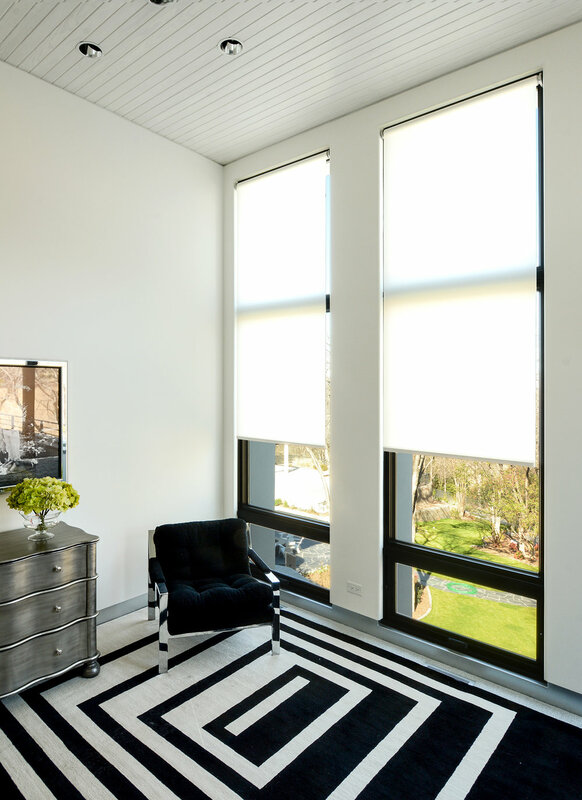 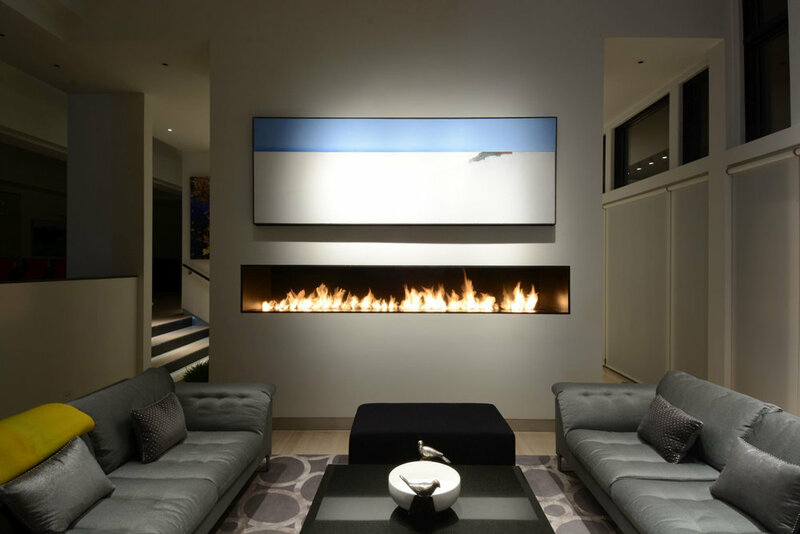 Designed by the talented Scott Martsolf of Martsolf Architecture, this modern home features walls of windows outfitted with the R Series Shading System. 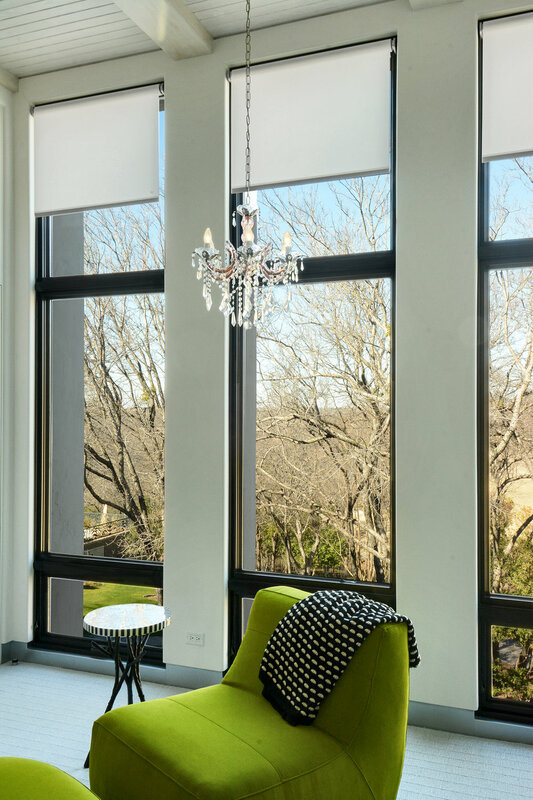 Mullions (the break between window panes) are an important source of architectural interest in any home, and mullion placement is especially stunning here. 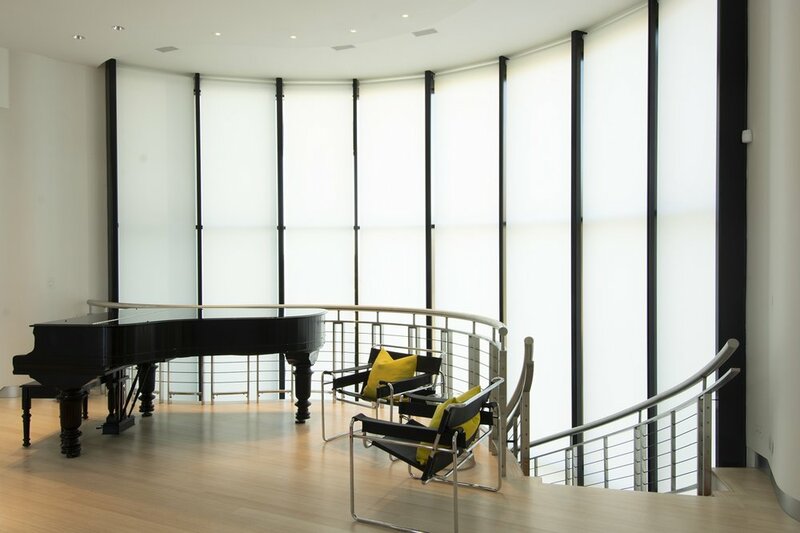 By breaking on each mullion and installing a single shade for each window pane, we were able to create shade walls that mirror the window profile. 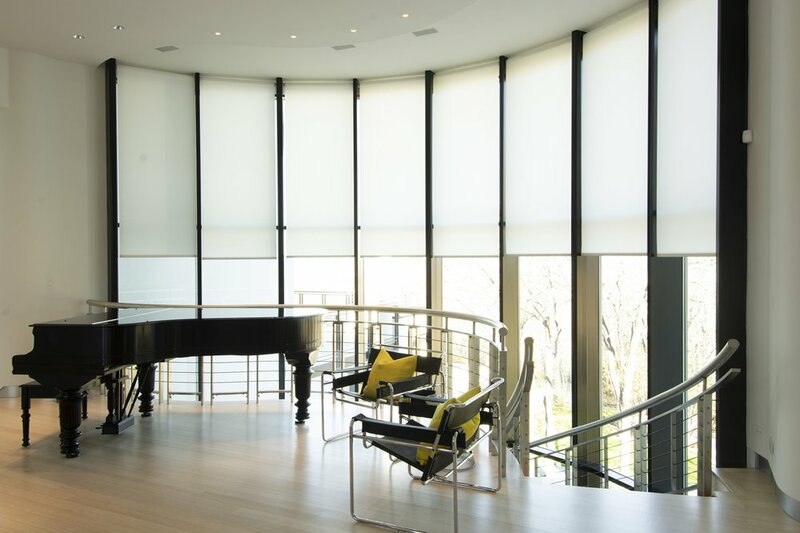 Larger shades, installed to span the length of multiple panes, would have covered the unique architectural details that make this home so special.